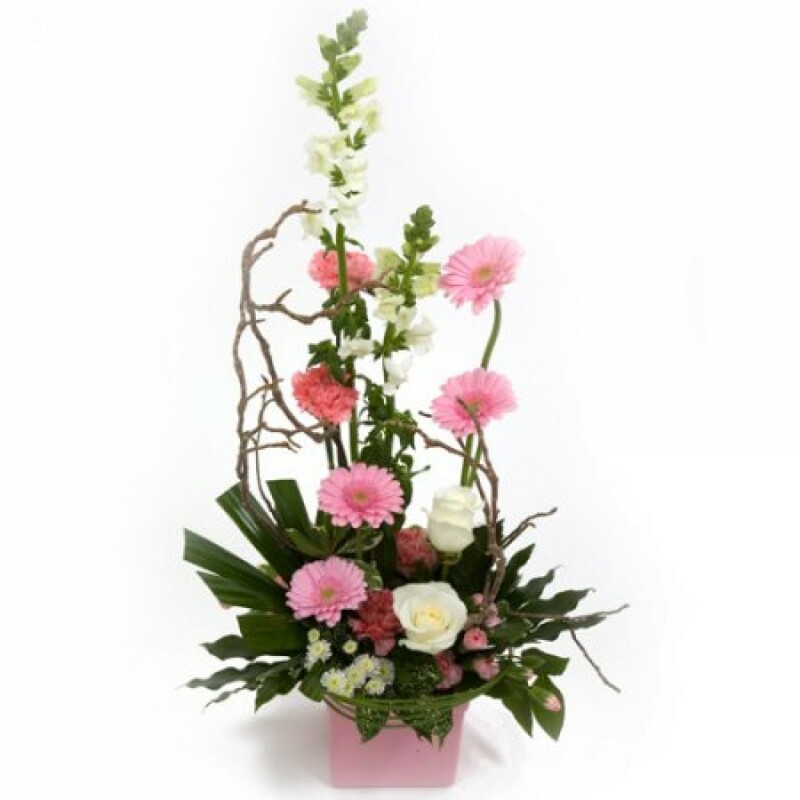 A modern grouped arrangement in a pink container, which would look stunning on any table. This is a perfect gift if you are looking for something a little different than the traditional arrangement. The fresh cut flowers are arranged in a water retaining foam (we now use Bio oasis which is 50% biodegradable) which holds the flowers firmly whilst providing a vital water supply to keep the flowers fresh. Arrangements are a very popular choice due to their ease of care, they are ideal for someone who appreciates nicely arranged flowers but who may be too busy to arrange the flowers themselves. These beautiful blooms are delivered daily fresh from the Dutch auctions, so you can be rest assured you will be sending the best quality of flowers there is.